Seating will be available in our smaller venues at all services except 6 AM, hosted by a pastor and prayer team. These areas will have a special coffee station nearby! If you prefer a smaller gathering, you may want to head to the Dock, Youth Lounge or 56 first. 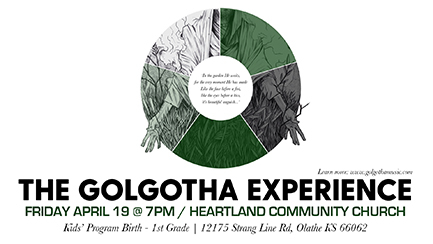 Join us for the Golgotha Experience, a Good Friday reflection and worship service delivered by Golgotha Music and Poor Bishop Hooper Ministries. Event begins at 7 PM in the auditorium. Kids’ Program Infant-1st Grade Provided. Have fun, make friends and learn more about life at Heartland! Whether you have been here two weeks or two years, Starting Point is designed to help you start strong at Heartland. Join us for this three week Community Experience where we will welcome you into the Heartland family sharing our traditions, values and story while getting to know you better along the way. You will leave this experience with new friends and knowing where to begin. Welcome to our family! Childcare provided, but registration required. 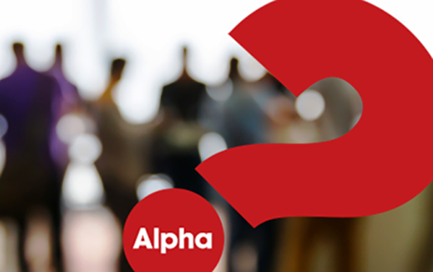 Alpha is a series of 8 evenings that explore life, spirituality and Jesus in a fun, non-judgmental and open environment. It’s perfect for skeptics, the curious or just anyone who wants to make some new friends. Each evening includes food, a short film and discussion at the end where you can share your thoughts. No question is out of bounds, and you’re free to discuss as much or as little as you wish. There’s no pressure, no commitment and no charge. Alpha groups will meet in homes around the city on Tuesday nights. Sound good? Come and see what it’s all about at our ALPHA LAUNCH DINNER, Wednesday, April 24th, 6:30 PM. When you register you’ll be sent a confirmation email with the details for the evening. CLICK HERE to register for dinner. No cost – no childcare – no pressure. Michelle Warren is coming to share a morning with us and discuss concepts from her book on Saturday, May 4th from 9:00 am to 11:00 am. Please plan on joining us for this powerful workshop. CLICK HERE to register. Mission Adelante will be hosting a New Volunteer Orientation on Saturday, May 18th from 9:00 am to 1:00 pm. If you are interested in volunteering with kids, youth, arts and music, adult ESL, or citizenship classes, this is a great opportunity to jump in for the summer trimester (May 28-August 4). Check out www.missionadelante.org/serve to learn more about Mission Adelante’s programs and to fill out an interest form. 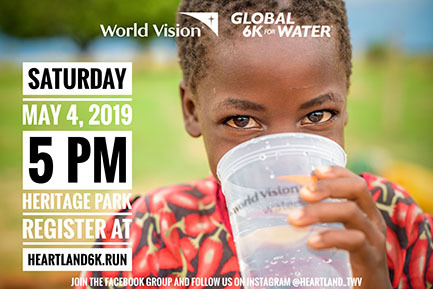 Some of our Heartland runners are partnering with Team World Vision to host a Global 6k For Water event on May 4th! This event is taking place at 5 PM at Heritage Park in Olathe, Saturday, May 4. We will start from shelter #1 on the north side of the lake. Any and everyone can participate in this event! Register and invite your family, your friends, your community group, your neighbors, your milkman, your trainer, your dog groomer–everyone you know–to register and be a part of this awesome event as we raise money for clean water. Let’s be arrows out and make a difference in the lives of the 800 million people around the world without access to lifesaving clean water! join other heartlanders on team world vision for a half or full marathon this fall! Join us on Sunday, June 9 as we kick off our training season with Team World Vision and our Heartland leaders. This is a great chance to get questions answered, complete your Team World Vision sign up, and register for the half or full marathon. 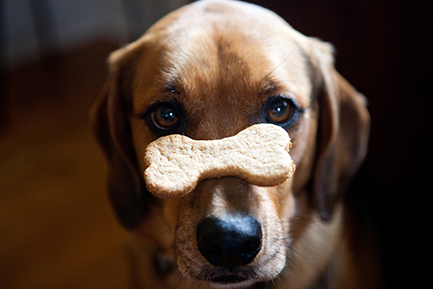 And remember…anyone can do this! You don’t have to be a runner to begin. Group training runs begin Saturday, June 17. Are you ready to say yes to clean water for kids in Africa, and yes to Team World Vision and the Kansas City Marathon/Half Marathon? CLICK HERE to sign up for the kickoff lunch! CLICK HERE to join the team and sign up for the marathon or half. Younique is a Jesus-centered series of sessions that lead you to discover more about your identity and the purpose God designed you to live life with. At the end of your Younique experience you will have greater clarity on who God created you to be and what he has prepared you to do. In addition, you will develop a life plan that makes this clarity intentional, and gives you the tools to run your life and pursue the life God reveals. Experience Younique Journeys 1 & 2 in this 4-day accelerator, followed by your 90-Day launch. This offering is set to run during Kanakuk Kampout, so you can take advantage of having your kids engaged in a life changing activity while you take time to focus on the big picture! CLICK HERE for info and to register for the 4-day Younique session. Financial assistance is available if you are ready to commit to the Younique experience but need a little help. Questions about Younique? CLICK HERE and drop us an email! Ladies! Let’s gather together for an evening of worship, encouragement and connection! We’ll sing and praise God, hear some stories from among us on how God has been moving, then we’ll finish up with dessert and time to catch up, connect and pray with each other. 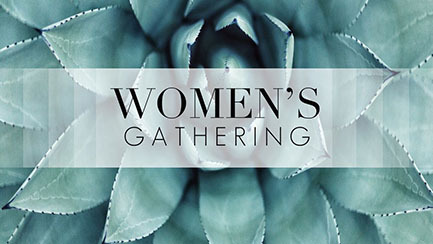 Bring the gals from your Community group, invite your neighbor and co-worker! Looking to get connected? Leaders in the mobile Hub will be waiting to meet you! CLICK HERE to register now. Childcare is available, but registration is required prior to April 16, 2019. As follow up to “Heartland Care Presents: Sexual Brokenness & Healthy Sexuality” (March 27, 2019), you can find the video of the Delk’s story, along with a list of the items that Scott and Kenyon felt were pivotal things to 1) discuss together and 2) create agreed-upon action plans around. The Delks have frequently revisited and evaluated as they’ve pursued healing and journeyed toward recovery from sexual brokenness. CLICK HERE to download their suggestions in "Building An Action Plan: Recovery From Sexual Brokenness." If you would like to connect with Heartland Care on anything related to this topic, CLICK HERE to email us. KampOut is a 1-week, high energy, non-stop excitement, traveling Christian day camp experience from Kanakuk for 5 to 12 year olds! Every KampOut Kamper will see and hear that God is a loving father and wonderful creator who loves them and desires for us to love others. Our counselors have been hand-picked for their Christ-like patience and sensitivity, and they are committed to creatively share the importance of a life lived for Jesus! Kids will have a blast flying down our zipline, scaling the climbing wall, bouncing in the incredible inflatables, and laughing at our crazy skits! Cost is $260 for the week. Limited scholarships are available by application (see link below). 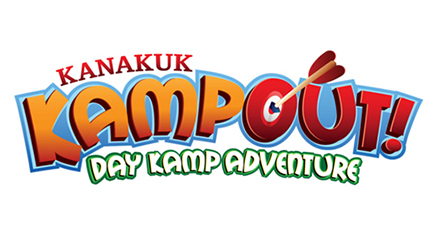 CLICK HERE for an overview of what a Kanakuk KampOut is like! CLICK HERE to register through Kanakuk for the Heartland KampOut experience. CLICK HERE to request scholarship assistance before registering with Kanakuk. That’s right, we have to practice the paws. Um, pause, that is. 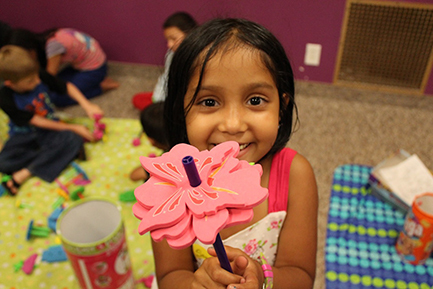 Heartland Kids will move up in their classrooms on Sunday, August 18. Until then, enjoy summer with your friends in the spaces you have come to know and love! Join us for awesome student-led worship, games, teaching and the best part: a connection to your small group at Heartland! You will find zany fun and an awesome experience where high school students and adults lead the worship and deliver a message relevant to 5th-8th grade students! All of that happens in the first half of the service. Retreats, camps, and yes, dodgeball are all a part of our student ministry adventure! Small groups break out into gender and grade-specific groups during the second half of the service. We can’t wait to see you and to connect you to a small group! move is headed to the Lake of the Ozarks, MO, June 2-6 for Mix! 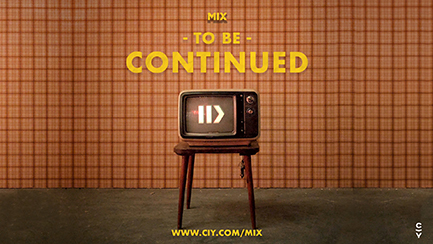 Mix is a middle school camp held all over the country designed to amplify the call of Jesus on students’ lives to become kingdom workers. Join us for a week of catalytic worship, transformative teaching, and a ton of fun. You won’t want to miss it! In 2019, we’ll dive into the life of Elijah and learn what it means to continue standing up for God in a world that denies Him, to continue pressing on when all seems lost and to continue the call from God that has been given to each of His children since the dawn of time. CLICK HERE for all the info and to register for camp! Need a financial assist? CLICK HERE to complete our application. Gather with students from over 20 high schools across KC for catalytic worship and transformative teaching. Ask the big questions, and become the you, you were intended to be. There’s a place for you! Join a small group of students your age and gender where you are known and needed. Come as you are, be known, and build meaningful friendships. Meet us on the Dock! This Summer we’re partnering with Next Step Ministries and headed to Colorado Springs for our first ever MVMT missions trip!! We’ll be working alongside Colorado Spring ministry partners, a local shelter, and a transitional living facility. Colorado Springs at a glance is a very attractive city. Unfortunately, drug overdose is up in nearly every county in Colorado. As a whole, the state is rated as the heaviest drug and alcohol use in the nation for prescription painkillers, alcohol, cocaine and marijuana. This may contribute to the number of houseless individuals and families. Encampments by rivers and city centers have become a growing issue as the city seeks for more housing, warming shelters, and mental health resources. Throughout the mission trip we will partner with a variety of local organizations dedicated to serving and loving the local community they are passionate about. 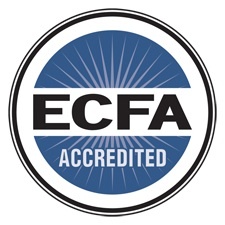 This may mean construction projects, landscaping, Vacation Bible School with local children, and also serving meals within the community to other families and events. Students are encouraged to raise support to account for the service nature of the trip. 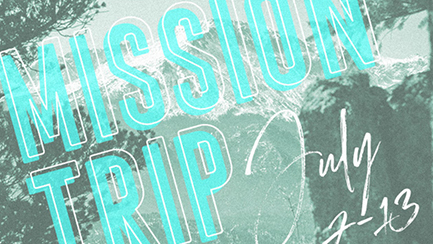 CLICK HERE to register for the Heartland MVMT missions trip. We believe that God is on the move to transform communities, schools, and lives and has invited us to be a part of it. To be the church among the unchurched, where we live, work, study and play. Students are no exception! You have enormous potential. To recklessly follow Jesus wherever he leads. To be his hands and feet. To be light in darkness. To bring healing to the hurting. And to share the hope of Jesus in a world that so desperately needs hope. The LTP is an 8 week intensive summer internship that equips and empowers student movement leaders. CLICK HERE to learn more about LTP. 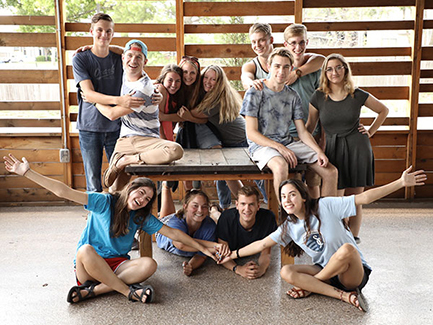 CLICK HERE to apply for LTP! 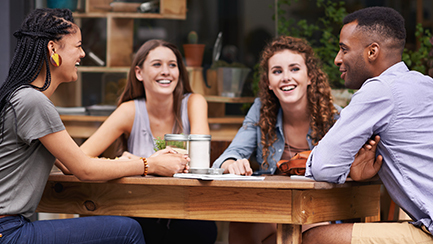 Our NextGen college age community gathers in the Garage at Heartland on Monday nights, 7-8:30 PM, from January 14-April 29. Questions? CLICK HERE to email Shelby Ratterman. CLICK HERE for details on "money stuff", and links to give online. You can also give securely through the new Heartland app, or use the green boxes found throughout the building. 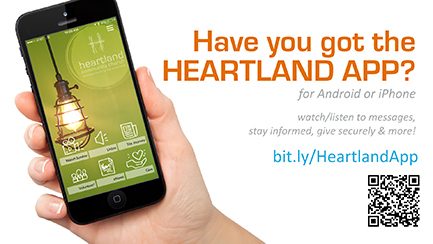 CLICK HERE to download the Heartland app. 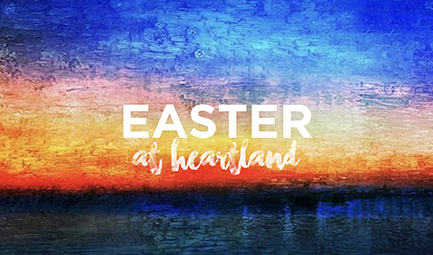 Download the Heartland app for easy access to all of our resources, sign up forms for events and classes, and online giving access. You can download it on your platform by CLICKING HERE. You can catch a video or pdcast if you missed a Sunday, see the latest Journey reflection, check the calendar, sign up for events, and read the latest eNews. Plus, you can give a one time or recurring gift right through the app! Does your family need help to make ends meet? 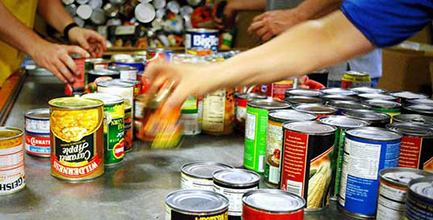 Heartland has an on-site, fully stocked food pantry that is open every Sunday morning at 10:30 AM. You can meet a food pantry volunteer at our side entrance (look for "Pick Up Here" sign). You may also inquire at the welcome center. Prayer Team will pray for you. You can also meet a prayer partner on Sundays following each service near the front of the auditorium or dock venues. daily and you can expect a call back within 24 hours. Please note that the Heartland offices are open on the following schedule. If you have a document or envelope to drop off, it can be left in the green box on the right side of our front entrance at any time. Other deliveries and appointments should be made during the following hours. Thanks! up to receive our future emails.